New Emirates lounge in Cairo International Airport. Credit: Emirates. UAE-based airline Emirates has opened its new dedicated lounge at Cairo International Airport (CAI) in Egypt. The lounge, which has been set up with an investment of $3.6m, is open to Emirates’ first class and business class customers. It also welcomes platinum and gold members of the airline’s loyalty programme Skywards. Located at Departure Terminal 2, Level 2, above the secondary security check and duty-free area, the lounge is designed for Emirates’ customers to freshen up after their flight. Emirates Airport Services divisional senior vice-president Mohammed Mattar said: “Cairo is our first destination in North Africa with an Emirates Lounge – and it underscores our relentless efforts to enhance the travel experience that we offer to customers not online in the air, but on the ground. Covering an area of 880m², the Emirates Lounge in Cairo provides seating arrangement for up to 152 customers. The lounge is equipped with LED TVs, leather armchairs, formal and relaxed seating and bespoke artwork. It also features a dedicated dining area, with a complimentary hot and cold gourmet buffet. The Emirates Lounge in Cairo is the 42nd facility of the UAE-based airline. 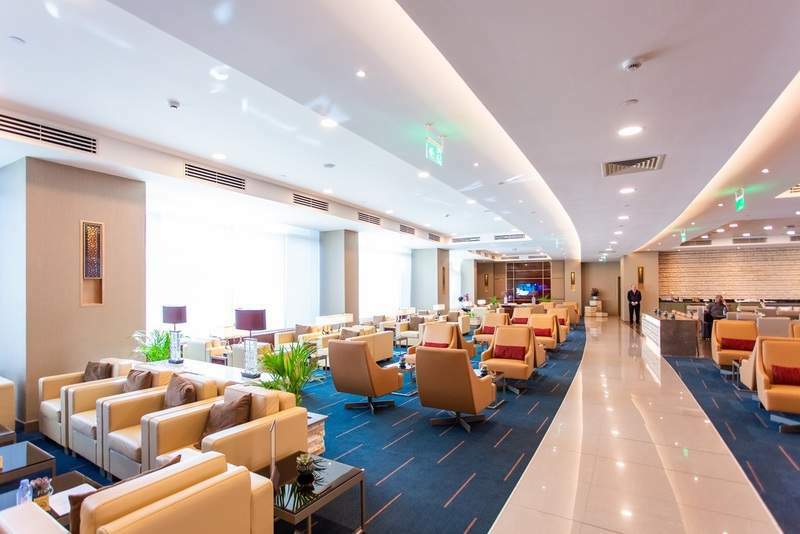 Emirates has seven lounges at its hub Dubai International Airport, as well as dedicated lounges at, Auckland, Bangkok, Beijing, Birmingham, Boston, Brisbane, Cape Town, Colombo, London Gatwick, London Heathrow, Los Angeles. It also operates lounges at airports including Manchester, Melbourne, Milan, Munich, Narita, New York – JFK, Paris – Charles de Gaulle, Perth, Rome, San Francisco, Shanghai, Singapore, Sydney, Zurich, Delhi, Dusseldorf, Frankfurt, Glasgow, Hamburg, Hong Kong, Istanbul, Johannesburg and Kuala Lumpur.